Lee Pefley, a man who makes misanthropy look benevolent, decides to flee the decay and drudgery of New York City for his childhood home in Alabama. Accompanied by his beloved wife Judy ("short and getting shorter"), $19,000 in hundred dollar bills, a supply of pilfered library books, and a pistol, Lee sets out on a bleakly hilarious tour of the eastern states. A passionate lover of classical literature, an incurable kleptomaniac, an overwrought paranoid, and a hopeless insomniac, Lee looks at the world through uniquely hallucinatory, and definitely not rose-colored glasses. To north was fog, south smoke; it was when he turned and faced into the vast grey building to the west that he saw how each separate window looked in upon each new late twentieth-century occupation, sequentially arranged. Someone, he saw, was at a computer, while someone else, (his feet were sticking out), had gotten beneath the machine itself, apparently to make a repair. For the most part however his attention came to rest upon a tall woman who was so stiff, so rectitudinous-looking and so constrained, she might almost have been a hold-over from some previous decade. Nor did it matter very much that in fact he was peering clear through the building and into the one behind it, and in this way mixing up two very different sorts of personnel. He came back, got into his clothes and gathered up the blanket. Itself, the book had snapped shut of its own volition and was edging off stealthily, striving to get out of the light. Never yet had he been able to accomplish any reading in daylight, not since he had been a clear-headed boy without faults and capable of hundreds of pages at a time. Suddenly just then, half a mile away, an emaciated figure rose up abruptly and began flagging to him deliriously from a rooftop of his own. Lee, however, ignored it. His attention was upon the burly figure down below who kept marching back and forth atop the city wall with a tube or weapon of some kind cradled in both arms. The staircase was unsafe; Lee waited for his eyes to adapt and then, having made a bundle of his book, shoes, and glasses, began to descend into the darkness with its ever-present smell of rotting mice. One bad step and it would mean a five-hundred-foot drop through total blackness and into a pool of liquified filth. Accordingly, he turned in at the first corridor and tiptoed down past where a bar of light was showing under one of the doors. Here, he knew, there dwelt a certain old man who was so silent at all times, and so self-effacing, that Lee had often wanted to go in and thank him for it face to face. And now, no doubt, the man once more was sitting on the edge of his narrow bed, once more reading in his foreign newspapers, and pausing only for the reason that he could hear Lee listening at the door. Lee went on. His own apartment had three locks, one of them so idiosyncratic that by the time he got inside he was in a bitter mood. The hall itself, already very tight, was made more so by the number of bookcases that ran the length of both walls. Even after all these years, it still delighted him that they had as many rooms as they did, some of them mere cubicles that, in fact, he almost never visited. And in truth, the building had never been designed for apartments in the first place. He went past the kitchen, and then into the great room where a vast engine of some sort had formerly stood bolted to the floor. These days, he kept the area stocked with books and furniture, a telescope and globe, two desks, and a carpet that was dense enough and good enough to sleep upon. And yet, not even in this place could he escape the sounds of the street, especially when the door to the balcony had been left ajar. He stepped forward to close it, but then instead went out onto the thing and glanced down into the chasm itself where a tumult had broken out among a crowd of youths who were pushing and yellinghe never could say whether it was serious or notand carrying their radios around with them. Someday, he knew, this balcony would certainly drop off from its hinges and toss him down into the pullulating mob beneath. Or, that which worried him more, that he would wake someday to find that the city gates had been closed and locked, locked forever, and with an Age of Nightmares coming on. Even now, he could see the watchman in his tin helmet, could see him turn deliberately and then march back slowly in his traces, his sunglasses glinting from half a mile away, his weapon always at the ready. Bored, 50-ish Wall Street insurance man Leland Pefley, nicknamed Lee, is a lover of Mahler and Wagner, a compulsive stealer of library books, a connoisseur of ancient Greece and a gun-toting, hard-drinking paranoiac. Protagonist of Perdue's debut novel Lee (1981), which portrayed him as a septuagenarian, misanthropic Lee, in this edgy prequel, hates big cities, career women, television, pop music and other signs of decadent Western civilization. With his charmingly eccentric wife Judy, Lee flees New York for his native Alabama. Their adventures en route involve a farmers' wedding in the woods and a mystic automobile repairman who recounts near-death experiences. Moving into a decrepit old house that he inherited, Lee attends a family reunion and learns to sympathize with ordinary people, though he is dismayed by a New South full of video stores and group-therapy workshops. At bottom a reactionary snob, Lee voices a howl of protest against regimented and standardized modern existence, sentiments with which discriminating readers may find themselves in accord. His relentlessly bleak vision is never lugubrious, however, due to Perdue's magically evocative descriptive powers, pungent wit and iconoclastic point of view. Those who read Lee will find this look at the hero's earlier life especially poignant. 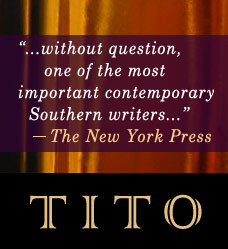 Tito Perdue('s)…eye for detail, his ear for dialogue, whether in cosmopolitan New York or rural Alabama, manifest themselves in language that is fresh and innovative, full of surprise and oftentimes kooky humor. In returning to his homeland, Lee "almost spoke out loud to find now one certain field … Here, too, love affairs had taken place, ignorance and passion, hostility between families, and the death of girlsthe landscape had worn down almost to nothing beneath the burden of it." Perdue's effort to free himself from the conventions of storytelling match nicely with his protagonist's attempt to escape from the deeply ingrained and unconsciously accepted patterns of life in the 20th century. 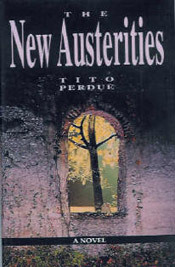 "The New Austerities," the shenanigans of its hero notwithstanding, is a serious and absorbing book; in the sensibility of Lee Pefley we can avail ourselves of a new, if sometimes troubling, insight into our times. This is a "prequel" to Tito Perdue's 1991 novel, Lee, and it is a wonderful, comic, almost surreal contribution to the literature of anti-modernism. 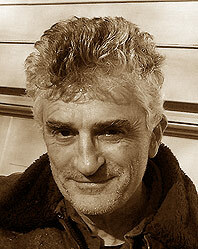 Leland "Lee" Pefley is Alabama-born, a student of the Greeks, Nietzsche and Spengler. Spiritually and temperamentally, one can place him as the descendant of Ezekiel Carlyle and Ignatius J. Reilly. Living in New York and working for an insurance company, he sees a 4,000-year-old civilization on its last legs. The causes and symptoms of this decline are conflated. Among other disorders, there is the rise of "women of the new type" as Lee refers to them; capable, manly women who get the job done, women who look upon his own inefficiency as ineptitude, rather than—as it might more properly be conceived—aesthetic fastidiousness. To be sure, anything practical that is done around Lee is achieved by his wife, Judy, with whom he is still in love after 30 years. Television is another dreadful and debilitating affliction, of course—although Lee does watch it for the purpose of "studying the commercials." If Lee were to have his way, the world would be "a small world getting smaller,…a fine people getting finer." He sees his choice being, essentially, to bump off the ruck or forswear modern people altogether. Eventually, at his wife's prompting, he decides to flee New York with her and head for Alabama. Lee's uncomplacent, out-of-scale and idiosyncratically skewed view of the world takes on physical reality as they drive through the country attempting to avoid Philadelphia and other problematic wens. Their adventures and their eventual meeting with his kinfolk are masterpieces of ghoulish whimsy, refreshed by sly and breezy irony. There is, apparently, more of the "Lee cycle" to come. I, for one, wait with impatience.